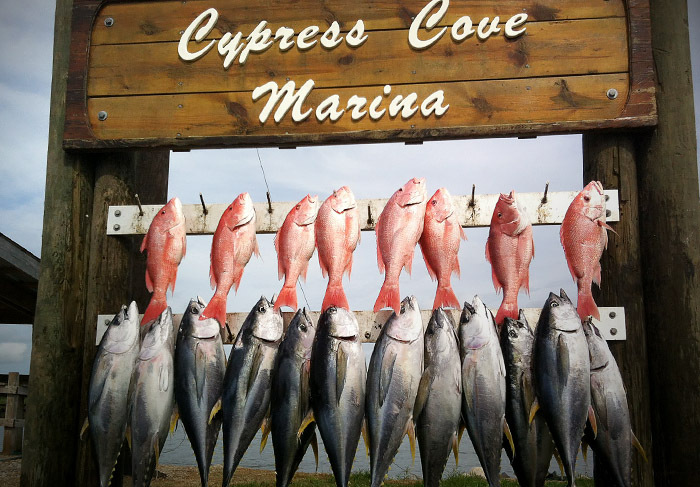 Red Snapper, or Snapper, as most people refer to the fish, is one of the tastiest creatures in the Gulf of Mexico. Venice, Louisiana is a great spot from which to launch a snapper charter. Though we currently have a two fish limit, and the Feds and State are grumbling at each other, the fact still remains: The best Snapper fishing is in Venice, LA. At MGFC, we use a variety of technique to catch snapper. But, most commonly, these fish are caught near oil rigs, and in many cases, from Venice, that means a short ride to prime fishing grounds. The bag and possession limit for the state season is two fish per person at a 16-inch minimum length. Louisiana decided to take red snapper regulations into their own hands. “After reviewing what our biologists expect Louisiana’s recreational red snapper landings to be this year, and the recent action taken by the Gulf of Mexico Fishery Management Council to have a very short federal season, I have decided to support our anglers and the associated fishing industry by opening state waters 365 days until further notice,” said Louisiana Wildlife and Fisheries Secretary, Robert Barham. In June 2012, the Commission took action to extend Louisiana state waters from three miles offshore to three marine leagues, or approximately 9 nautical miles. LDWF officials encourage fishermen to use caution and their own personal judgment when fishing beyond the three-mile boundary that is currently recognized as federal waters, as federal agents will most likely continue to enforce federal law. Until the U.S. Congress confirms Louisiana’s action, the battle will continue over Louisiana’s state water boundary. Anglers usually start looking for snapper in 40 feet of water out to about 350 feet. These reef fish prefer to hang around hard structures, such as rock reefs, oil platforms, sunken ship wrecks and other cover where they can lay in wait for bait. 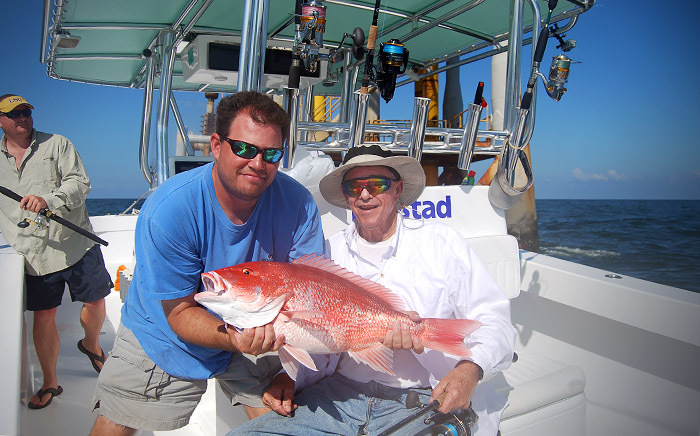 As fuel prices soar and authorities clamp restrictions on this species, some might think its hardly worth the effort to charter a trip just for two red snapper per person during a brief season, but anglers can still load a boat and enjoy a great day on the water. Sure, there’s a two per person limit for reds, but other reef fish such as Grouper and Mangrove Snapper can also be caught in these same waters, and they’re just as rewarding for the angler to haul into the ice chest. Despite the back and forth, and the on-going battles between the Feds, the State Department of Wildlife and Fisheries, the Gulf Council, the Lobby of the Louisiana Restaurant Association, and the commercial fishery, Snapper fishing is alive and well in Louisiana. Book a trip with MGFC now, we’ll get everyone a limit of Reds, then fill the boat with Mangrove Snapper, Vermillion Snapper and Grouper, too. Let’s go fish for Red Snapper, from Venice, LA.